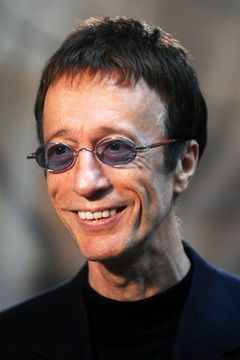 Former Bee Gees member, Robin Gibb awakes from coma brought on by chemo therapy complications induced pneumonia. Frail, weak, malnourished and still in Intensive Care in The London Clinic in Central London, Robin Gibb has awoken from a week-long coma and is able to talk to family members who have kept vigil by his bedside throughout the frightening ordeal. Gibb’s doctor, Dr. Andrew Thillainayagam has confirmed that a combination of chemotherapy and two prior surgeries for advanced colon cancer, had weakened the former pop music star so greatly that he contracted pneumonia which put him into a coma and a life and death fight. Though extremely weakened, still on a feeding tube and oxygen mask to help him breathe, Robin Gibb has shown great determination to continue living, requiring a deep inner will to overcome the odds and still be here with us. Gibb’s wife, Dwina, son, Robin-John Gibb, daughter, Melissa as well as remaining brother and former fellow Bee Gee, Barry Gibb, have spent round the clock with Robin, playing him his favorite music and singing to him. Dwina has reported that Robin cried when she played Roy Orbison’s “Crying” for him. None of them were willing to give up on Robin or let him succumb to his illness. It appears that neither was Robin, himself. While in coma, Robin’s composition, Titanic Requiem, a piece co-written with his son, Robin-John and taking some two and a half years for the duo to complete in time to be presented for the 100th anniversary of the ship’s sinking was presented to the world in London. Robin-John represented both himself and his father during that world premiere. Gibb had formed a fascination throughout his life with the fateful ship. Though made of steel and built to withstand all that nature could throw at it, the Titanic was no match for nature and sank April 15, 1912, killing over 1,500 passengers. At the same time that the Titanic was being commemorated 100 years after its sinking, ironically, Gibb laid in a hospital bed, unaware of the anniversary or much else, fighting to keep his life much like the passengers of that ship did that day. Thankfully, Robin has overcome the odds thus far and has confounded doctors as to his remarkable strength and will power to live. Though Gibb’s fate is uncertain as the colon cancer has reportedly spread to his liver, and the pop music icon remains in a delicate, frail state, one thing is certain. Love and spirit are indeed, stronger than steel. May he maintain his form of steel and continue to beat the odds.